Maybe this seems like a strange topic for a blog post, but I’m sitting here by my nice warm fire, typing into my laptop, while it’s about 15 degrees outside (F). I am not a medieval person, but I hate being cold and get grumpy if my house is below 68 degrees (and with the fire, I can get it a lot warmer than that). 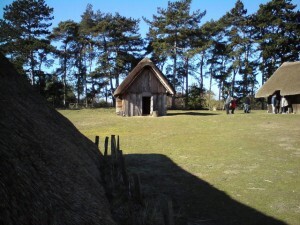 Round huts in which many early peoples lived did not have chimneys. They had fire pits in the center of the room, with or without a hole in the roof for the smoke to leave. According to the re-enactors at the National Museum of Wales, not having a hole wasn’t as bad as it sounds. The smoke did gradually filter through the thatch, and in so doing, had multiple benefits for the inhabitants of the hut: sparks were smothered; bugs living in the thatch were killed; the smoke waterproofed the thatch; and finally, meat left in the ceiling could be smoked. That said, houses were smoky. Typically, the Romans did have the knowledge of chimneys (for baking), and otherwise had a hypocaust venting system. “During the Roman era, some houses were warmed with interior pipes laid under floors and within walls, and bakeries had flues that piped smoke outside the building.” http://www.apartmenttherapy.com/ny/retrospect/quick-history-chimneys-162580 They also used braziers, which could be moved from room to room and to which you could sit closer than a real fire. 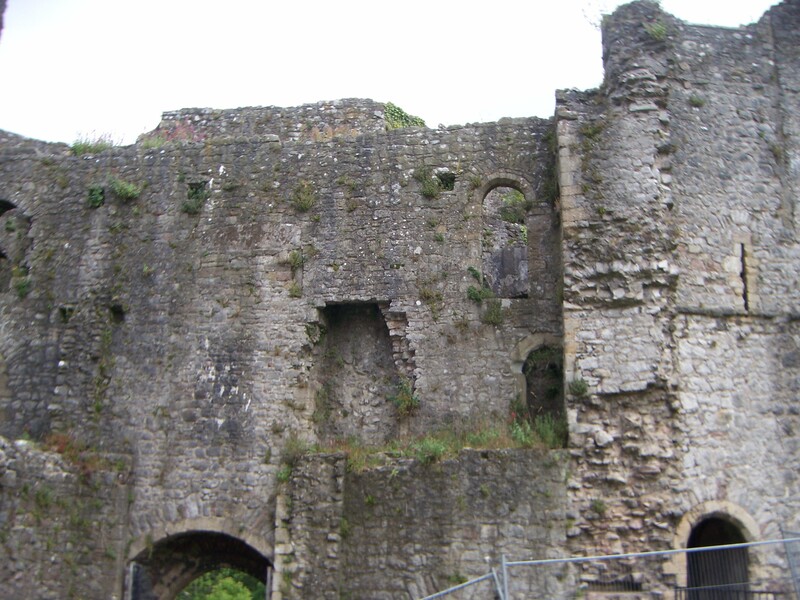 The first chimneys were constructed in castles. The first one we know of is from the 12th century. “If the later Middle Ages had made only slight improvements in lighting over earlier centuries, a major technical advance had come in heating: the fireplace, an invention of deceptive simplicity. The fireplace provided heat both directly and by radiation from the stones at the back, from the hearth, and finally, from the opposite wall, which was given extra thickness to absorb the heat and warm the room after the fire had burned low. The ancestor of the fireplace was the central open hearth, used in ground-level halls in Saxon times and often into later centuries. 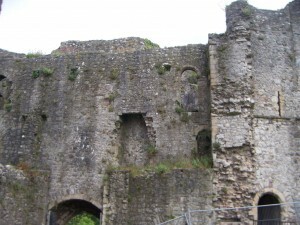 Such a hearth may have heated one of the two halls of Chepstow’s 13th-century domestic range, where there are no traces of a fireplace. Square, circular, or octagonal, the central hearth was bordered by stone or tile and sometimes had a backing of tile, brick or stone. Smoke rose through a louver, a lantern-like structure in the roof with side openings that were covered with sloping boards to exclude rain and snow, and that could be closed by pulling strings, like venetian blinds. There were also roof ventilators. A couvre-feu (fire cover) made of tile or china was placed over the hearth at night to reduce the fire hazard. ← Previous Previous post: A Thank You and Book Give-Away! Next → Next post: Pixel of Ink today! Now… is there a way to subscribe to this blog? If you use Google reader, just paste the link to the blog into their ‘subscribe’ box. I also have a link to the RSS feed in the side bar, too, which should give you some choices in how to subscribe. Thanks for commenting!